Attractions: Sturt & Mutawintji National Parks, Cameron Corner, The Dingo Fence. Activities: Hiking, Camping, 4WD tours. Tibooburra is the most remote town in Outback NSW. It is located close to the corner boundary between three states (Qld, NT and SA). It’s also the gateway to Sturt National Park where you can camp out under the stars or stay at the old Mount Wood Station. 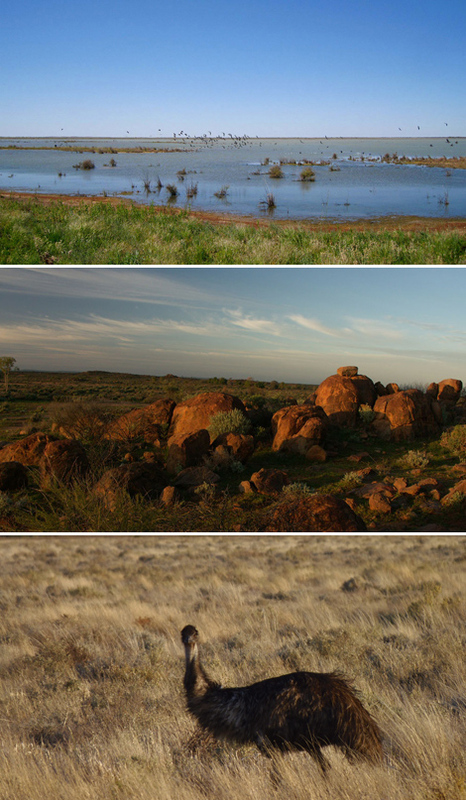 Features of the park include rolling red sand dunes, flat-toped mesa, eagles, corellas and kangaroos. After rain, the country around Tibooburra bursts into life with wildflowers blooming in vast numbers across the plains. www.visitnsw.com/tibooburra - NSW Destination Information.